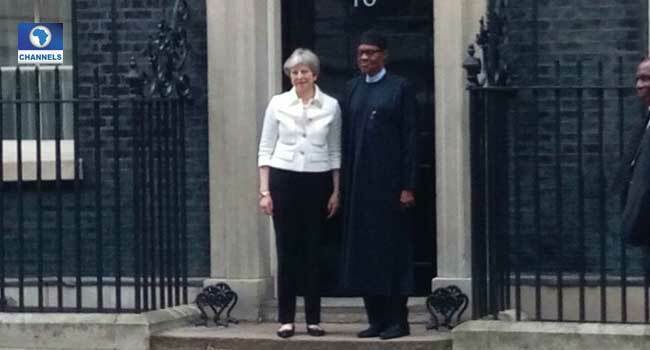 President Buhari had some discussions with her. Details of the discussion are, however, not yet disclosed as the meeting was closed-door. The meeting was held at 10, Downing Street, London. 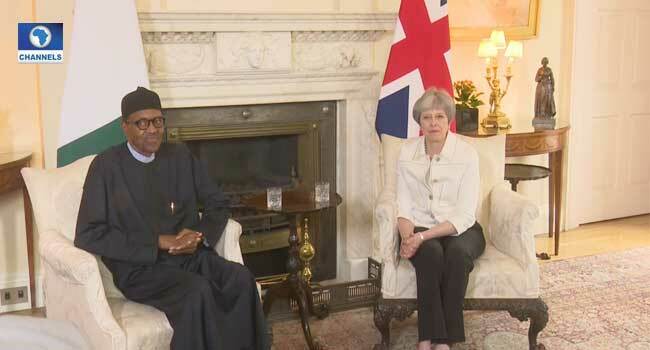 At the end of the meeting, President Buhari thanked the Prime Minister for Britain’s efforts in training Nigerian Armed forces in fighting Boko Haram insurgency. The President had earlier received the national leader of the All Progressives Congress (APC), Bola Tinubu on Sunday. He also received a support group called Buhari Diaspora Support Organisation. This was alongside the Chief of Staff to President Abba Kyari. President Buhari also met with the Archbishop of Canterbury, Most Reverend Justin Welby on Wednesday, April 11. He told the Archbishop that clashes between herdsmen and farmers in different parts of Nigeria is a crisis that has long existed adding that efforts are on to ensure the release of the schoolgirl from Dapchi, Leah Sharibu who is still being held by insurgents. 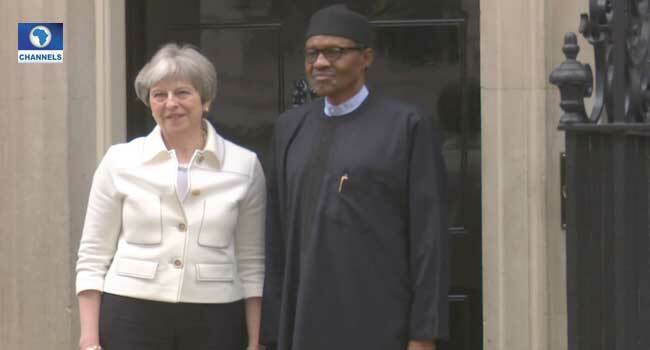 Buhari on Monday, April 9 left Abuja for the United Kingdom, London. This was after he declared his intention to seek re-election at the National Executive Committee (NEC) meeting of the All Progressives Congress (APC) leadership.